“Life is funny. On a day you feel your worst, the best things can happen,” said Physical & Technical Security Director Luis Morales. 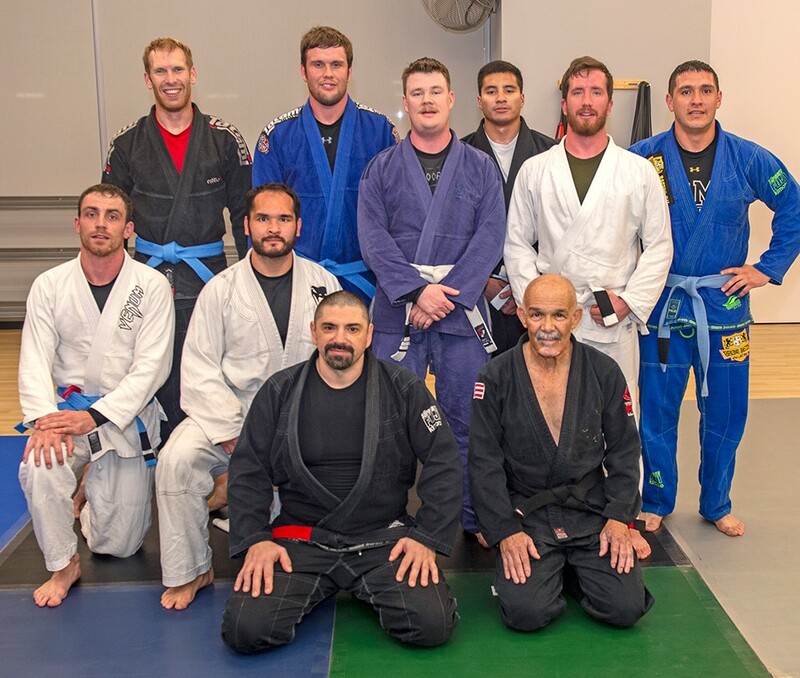 On a recent morning, Morales almost skipped his Brazilian jiu jitsu (BJJ) class due to a pesky head cold that kept him awake most of the night. But he forged ahead. 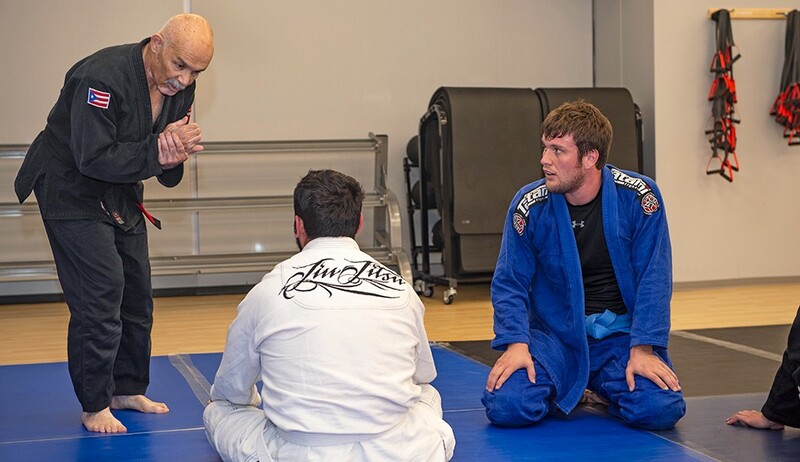 When I first interviewed Luis, in 2013, his BJJ career was well underway. 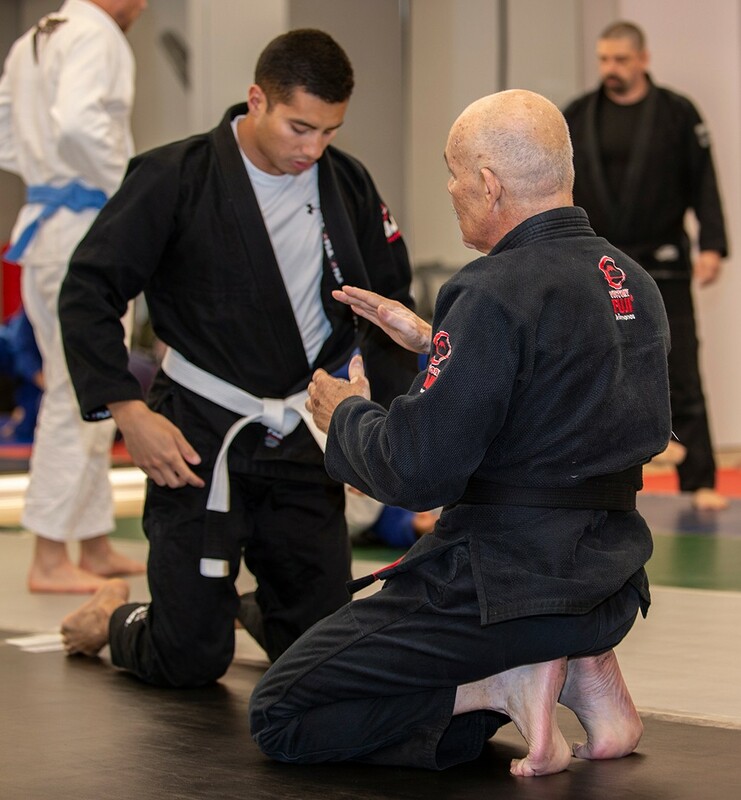 He was a third-level blue belt — each level has four degrees — and was working to share his passion and commitment with other ConocoPhillips employees by launching the Studio 3 dojo (school) in the Houston Wellness Center. 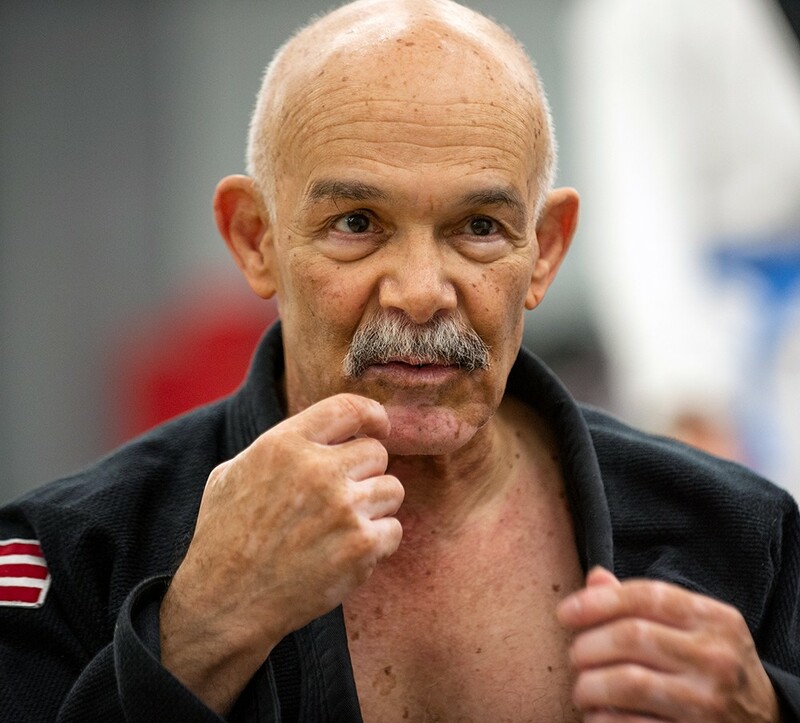 During that 2013 interview, Luis also shared his goal of earning his black belt by his 62nd birthday. He made it by two months. 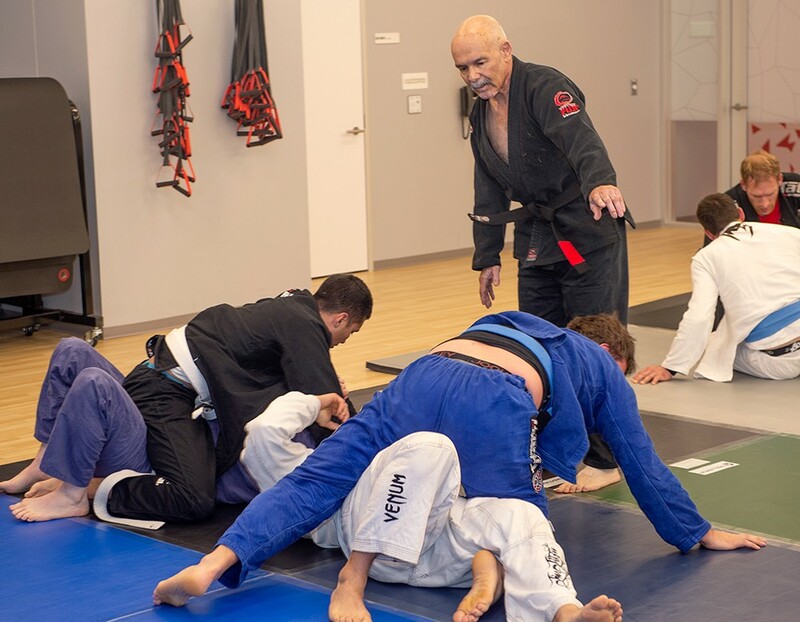 Responding to a challenge from his grandson Raul, Luis jumped into BJJ with both feet at the age of 53. BJJ is a martial art and combat sport that focuses on grappling, with particular emphasis on ground fighting. It is founded on the concept that a smaller, weaker person can successfully defend against a bigger, stronger, heavier opponent by using technique and leverage. In his professional life, Luis also focuses on protection. As director, Physical & Technical Security, he develops security programs for ConocoPhillips locations around the world, including access controls, cameras and vehicle barriers. He also performs security risk assessments and audits that address a range of threats. Keeping the dojo running smoothly requires absolute commitment. Luis arrives at Studio 3 Monday through Friday by 5:30 a.m. to help set up for class, positioning and taping down the mats to prepare for the students. At 5:45 on the dot, the session begins. Students go through a warmup before starting to practice. Although David Alfon is now the main instructor, Luis plays an active role in coaching students. Luis and his team played a pivotal role in the company’s recent move to new headquarters in a high-rise building, working throughout the phased move to set up and maintain access control and closed-circuit television systems. 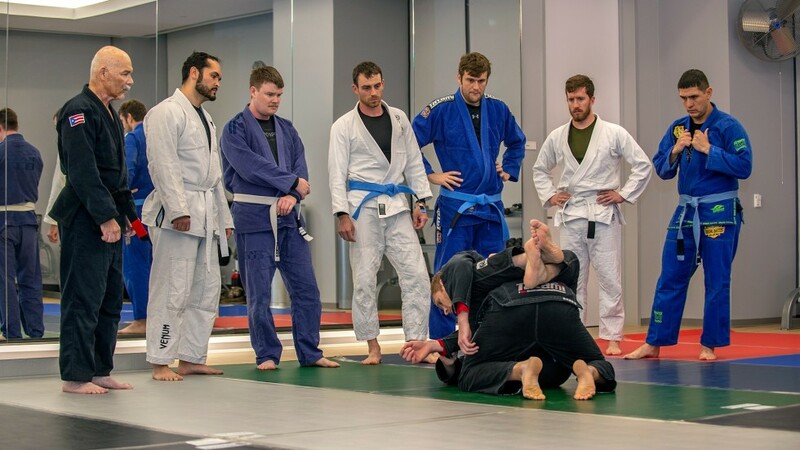 For Luis, realizing the dream of achieving a black belt is the culmination of nine years hard work: training three to five days a week, competitions to help accelerate growth, and teaching 80 to 100 hours. He has competed in 30 tournaments but gave up competing for the last two years to earn his teaching credits while supporting his team. 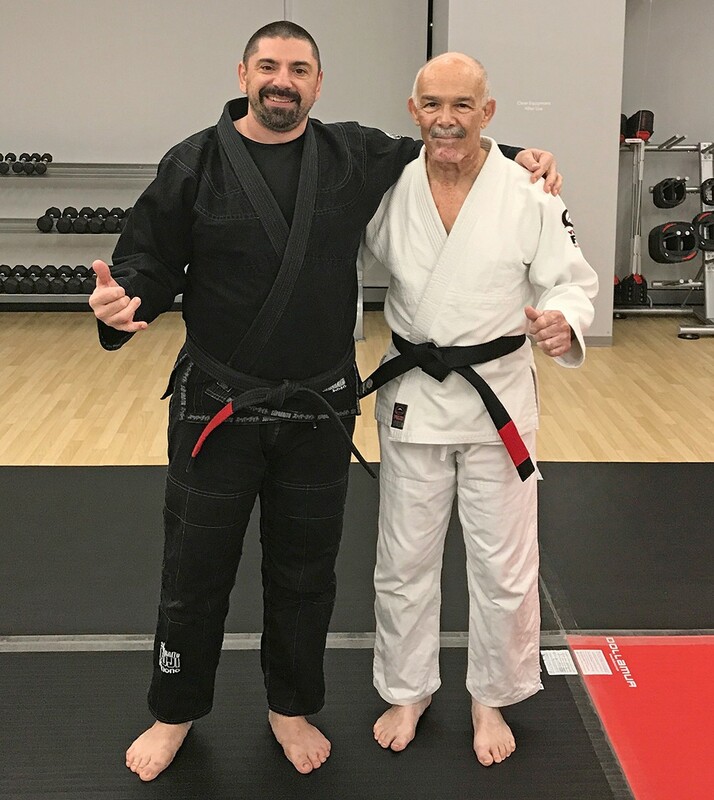 What does it feel like to earn a black belt? Pretty good, according to Luis, despite the dents and dings. Luis remains a committed practitioner of BJJ at ConocoPhillips’ Studio 3. Now under the expert tutelage of black belt holder David Alfon, the dojo offers self-defense classes, exercises and sparring Monday through Friday. asked Luis how many more years he planned to practice the “gentle art.” His answer didn’t surprise. “As long as I’m able to train and develop with my son and five grandsons,” Luis said. Hélio Gracie, who along with his brother Carlos founded the sport, was teaching on the mat until 10 days before his death at the age of 95. Now that he’s reached the level of black belt, perhaps Luis will set a new, equally ambitious goal.